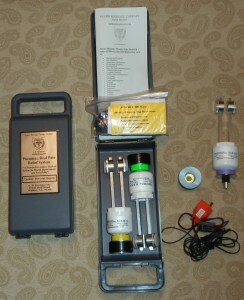 The Pneuma Real Pain Relief System is serious health improvement for adults well into the senior years. The LARGE MAGNETIC PLATES are set into REPULSION, which GUARANTEES it is always “ON” and waiting FOR YOU to tap REAL HEALING POTENTIAL. Release connective tissue resistance in as little as 15 minutes for a stronger, precise, and successful post adjustment. 1. 1. Lay on your back on a comfortable surface with pillows under the head and knees. 2. 2. Place the body charging band on either leg. 3. 3. Place the levitation device under the sacrum and between the shoulder blades into the most comfortable positions available and add a hand towel for more cushion as desired. 4. Relax in this position for 10 to 20 min. WARNING : Pneuma Real Pain Relief System contains strong Magnets. Now you can help yourself and loved ones. 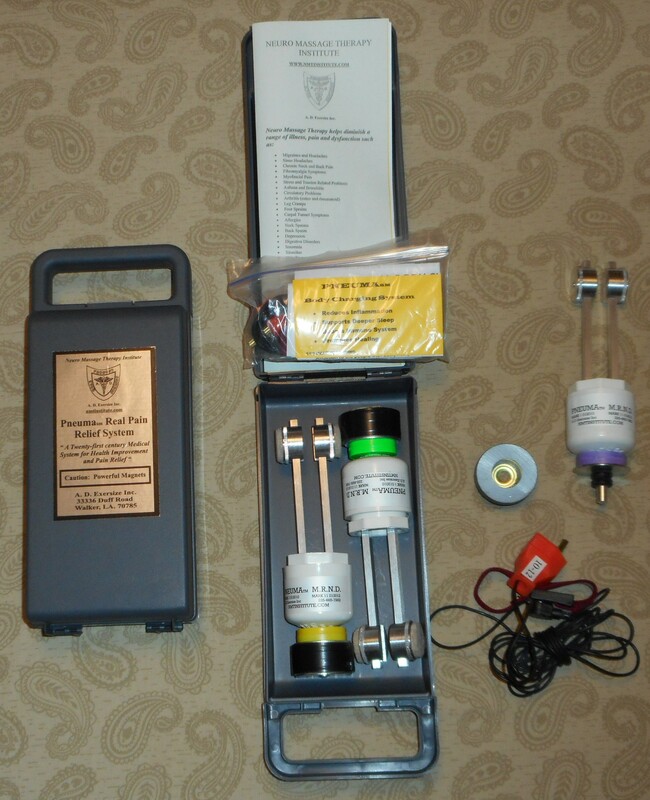 Couple this MAGNETIC LYMPHATIC PUMP with the pneuma Body Charger and you will wash thatvfree radical rust out of your body all in one session. If you can’t take 10 minutes to help your body stay healthier, then we probably can’t help you. 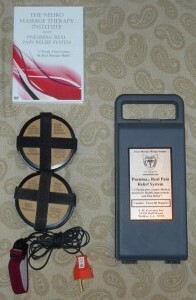 Each Real Pain Relief System contains a powerful magnetic pump, a Body Charger device and 2 DVDs. With our money back guarantee and life time warranty,you have nothing to lose but you miseries! Let’s face it, we are constantly offered equipment that will fix virtually anything on anyone with no effort at all. Yea right! In fact I own one of those $1300.00 vibratory devices sold to Osteopaths and chiropractors that was the answer to fascia adhesions and is now occupying drawer space. Well, here are products that really work. I am a walking testament, having lived through life threatening injuries, to how miserable the after effects can leave your muscles in painful knots and numbness. I have had more personal relief from the New Life Health Recovery System than any type of bodywork, I have to admit that as clients began calling me to tell how they were getting relief after years of misery, I was skeptical it could really be that simple but upon examination of the tissue and range of motion I was convinced. Thus far I have seen improvement in symptoms from conditions such as Headaches, Chronic Neck and Back Pain, Frozen Shoulder Trigger Points, Fibromyalgia, Asthma, Carpel Tunnel Pain, TMJ Pain, Painful Scars (Mastectomies), Plantar Fascia Pain, Ischemia, Digestive Disorders and many other conditions. This New Life Health Recovery system is a compilation of the New Life Posture Correction System, the Sonic Tuner Body Charging System. The techniques systematically applied to the body in this system are time tested and proven such as: Acupressure, cervical distraction, thoracic extension, sacral decompression, Cranio- Sacral still- pointing, Ohm Therapy, Magnetics and Earthing. The effects of these combined techniques are documented to improve cervical circulation, muscle relaxation, improved breathing, improved Lymphatic flow, improved low back pressure, improved leg circulation, free radical discharge and new electron recharge. This system offers a dynamic supine cardio vascular isometric exercise regimen that will sufficiently test the dedicated exercise enthusiast with serious core stabilization techniques. This unique therapeutic, self- help body tuning device is a successful integration of acupressure, vibrational, magnetic, reflexology and neuromuscular therapies combined into one easy to use device! How are free radicals formed? Free radicals are a by-product of life — whether it’s from eating or moving, free radicals form. It’s kind of like we are rusting away. Free radicals are counter-acted by antioxidants (or anti-rusting agents). For more information, look here: http://www.exrx.net Free radicals are atoms that have odd amounts of electrons in an outer ring; therefore it tries to attach itself to other atoms to keep balance. An atom or a group of atoms that are unstable is the basic definition of a free radical. Free radicals can break cells and have been known to cause, or to show faster progress of cancer. Since the mid ohm frequency is a natural resonant frequency of the earth, it is naturally drawn to earth’s frequency. Since we are an earth born organism, we naturally charge and discharge to earth ground potential. We now know that electrons drawn from earthing (grounding) create an analog signal that stimulates cellular healing. When the mid ohm frequency is applied to the body with an earthing device, the discharge of free radicals is accelerated from the body to the earth ground potential. The sound vibration of Ohm is relaxing and energizing. Resonating with Ohm can enhance breathing, relieve body pain and balance the nervous system. The Mid-Ohm is the classic Ohm frequency, and is 136.1 Hz. The hertz measurement, otherwise known as cycles per second, is the numerical representation of the vibrational tone of Ohm. Use Ohm Tuning Forks on tight muscles, joints, tendons, bones and tissue, and on reflex, trigger and acupuncture points. Ohm Tuning Forks are effective because their vibration activates the natural Peiso electric current or Qi flowing through the body. This current is also known as bio-energy. In addition to its ability to activate Qi, they provide ease for many therapists in allowing them to access this vital energy in their healing practices. Sound can be an effective complement to many healing modalities, and combines extremely well with Acupuncture and Acupressure, a wide variety of Massage Therapy techniques, Cranial-Sacral and Polarity Therapies, and also, energy work such as Reiki and EFT, and yet, a simple and effective method of applying Ohm Tuning Forks and sound healing on the body, including acu-points, trigger and reflex points, bone, muscle, tendons and to relieve pain. The purpose of the tissue pump is to flush the blood through the area to induce healing in the inflammation process.